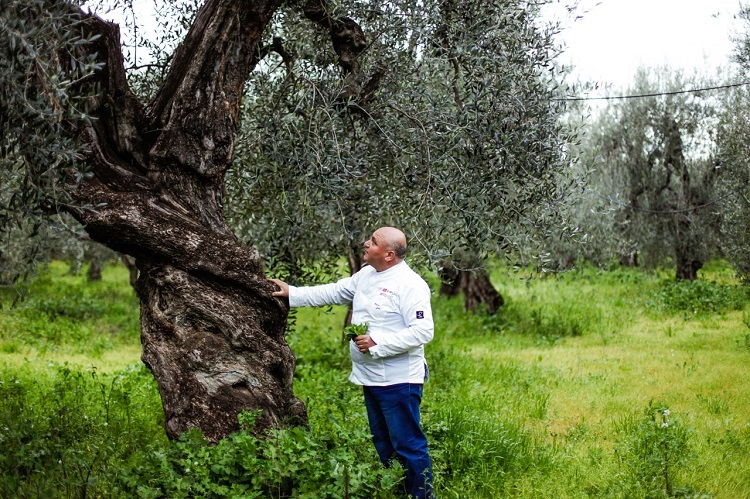 This is where his prize-winning dishes originate On the edge of the Alta Murgia Park, in the little village of Montegrosso, stands Antichi Sapori, the restaurant owned by the chef Pietro Zito who over the years has collected an astonishing number of national and international prizes. 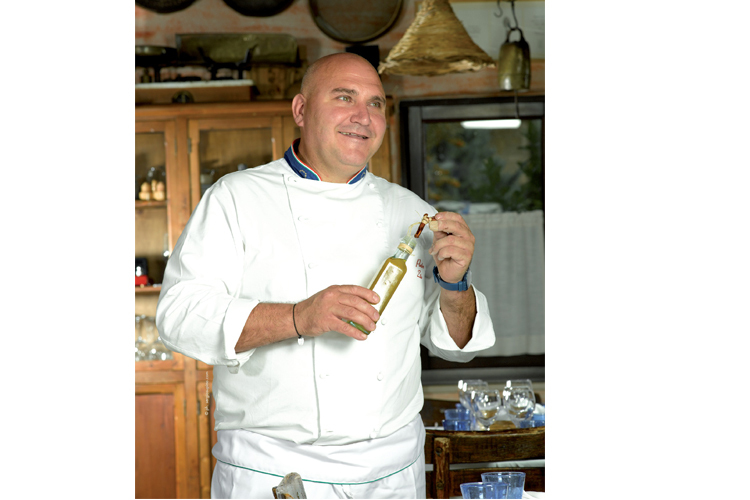 I first heard of Pietro Zito and his restaurant, Antichi Sapori, from an American friend whose knowledge of cooking is legendary. 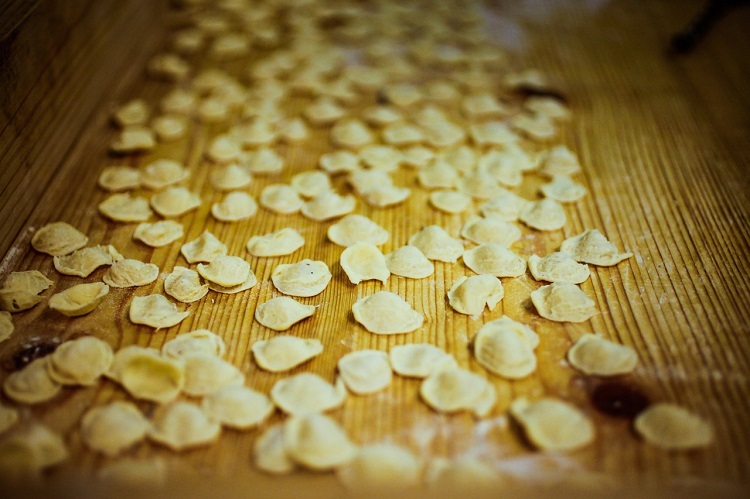 His tours of Italy and the world follow the milky way of Michelin stars and Slow Food snails. “The venue is simple and quite basic but Zito’s restaurant is the best in Italy and certainly one of the best in the world”, he told me. This made me very curious and I planned to go as soon as possible to the tiny village of Montegrosso di Andria, with its few farmer’s houses and only 190 inhabitants (! ), set on the edge of the National Park of Alta Murgia, in the country, in the middle of nowhere. 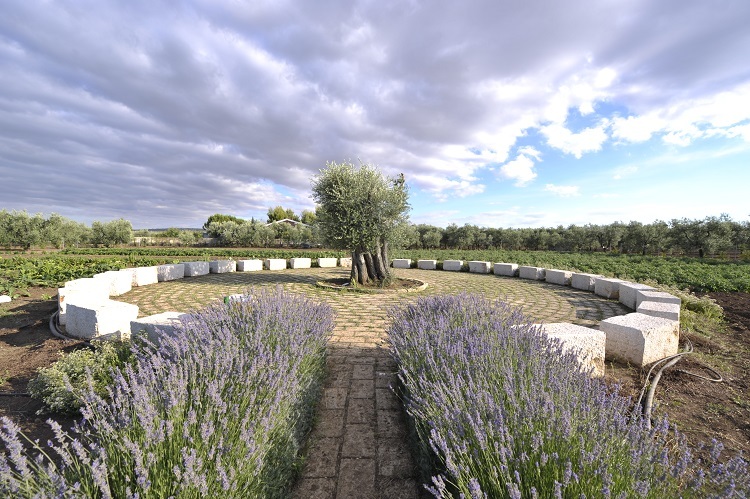 However, a few miles away there is one of Puglia’s jewels, Castel del Monte, which with its history, its mystery and its charm, is the leading attraction of the whole region. Booking at Antichi Sapori is not easy, since it is always full. In the end, by calling reasonably ahead of time, I succeeded. 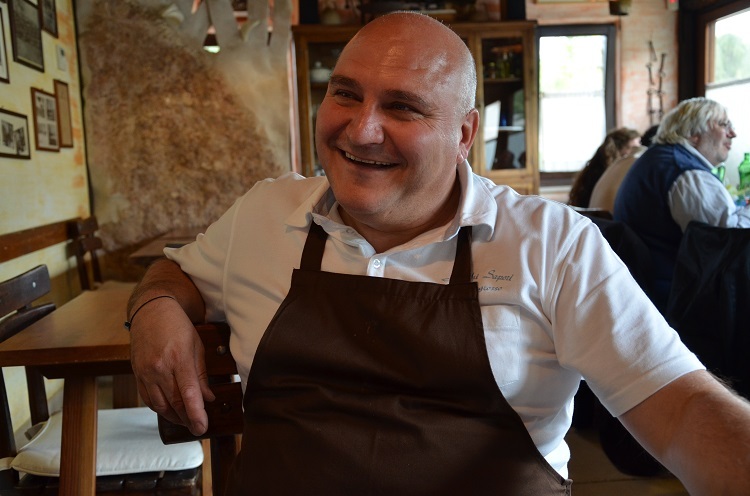 You are welcomed, not just by the courteous and efficient staff, but by Pietro Zito himself, a giant with light eyes and a big smile. 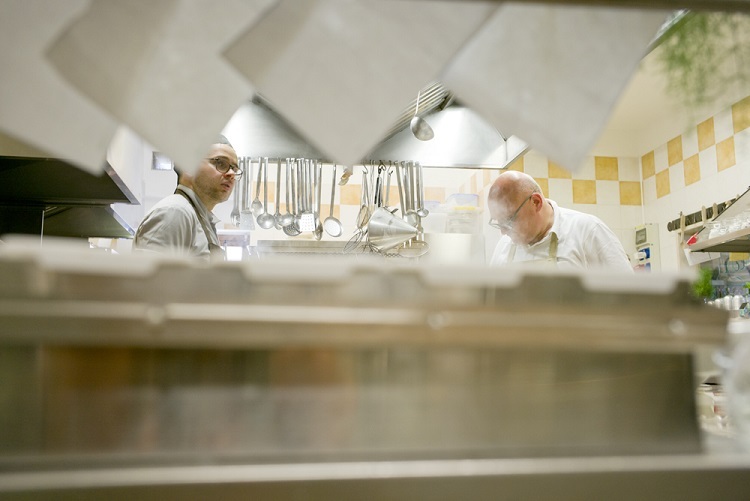 Shy and reserved, he seems not to attach much importance to the formidable list of prizes and awards that place him in the elite of Italy’s most respected chefs. 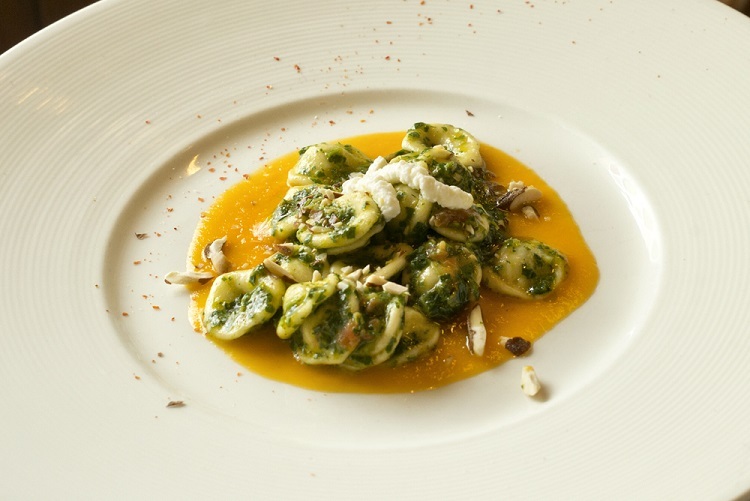 The restaurant, which opened in 1992, has had the “Chiocciola Slow Food” since 1994; for the Gambero Rosso it is among the three best trattorias in Italy and since 2000 has had “Three Gamberi”; endless culinary guides and institutions have awarded it the title of “Best restaurant in Puglia” and “Best osteria in Italy”; for Britain’s The Guardian, a meal at Antichi Sapori is one of the “Ten Most Memorable Meals in Italy”; other awards have come from America and Japan; the leading national media (television, daily papers, magazines) that deal with food have devoted long reports to the restaurant. 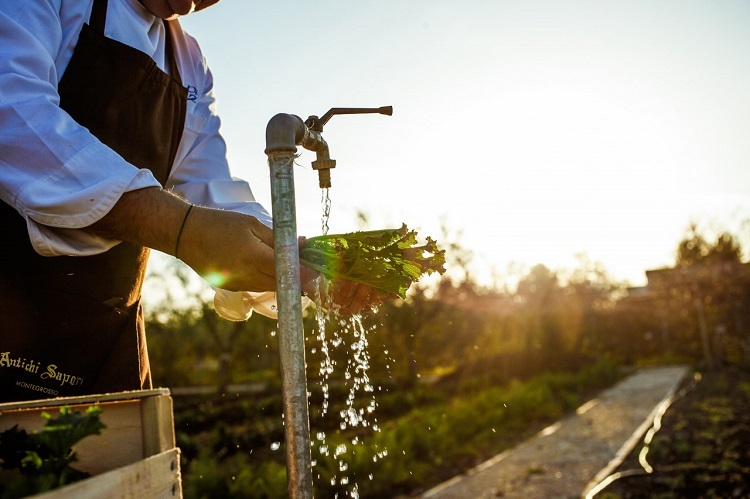 In spite of this, the chef Pietro Zito regards himself as “a farmer with a kitchen”; the supreme quality of his food is closely linked to the soil and the peasant tradition. 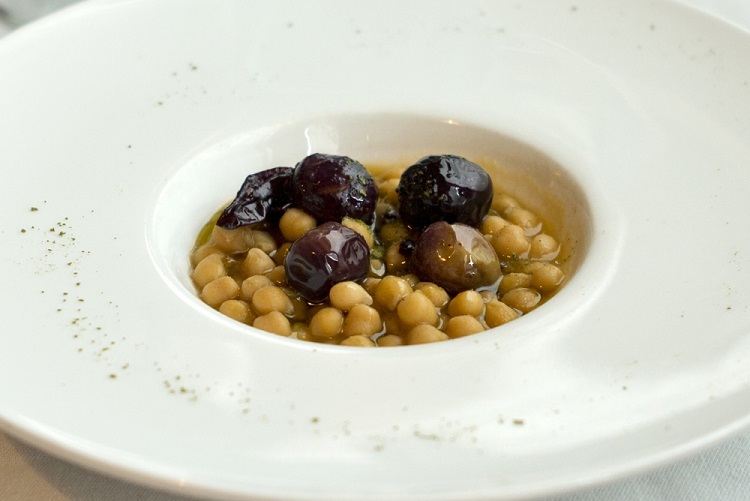 It is a “poor” cuisine, which follows the traditional recipes and uses only seasonal produce of the absolutely best quality, always sourced locally. That is the strong point of this award-winning restaurant. 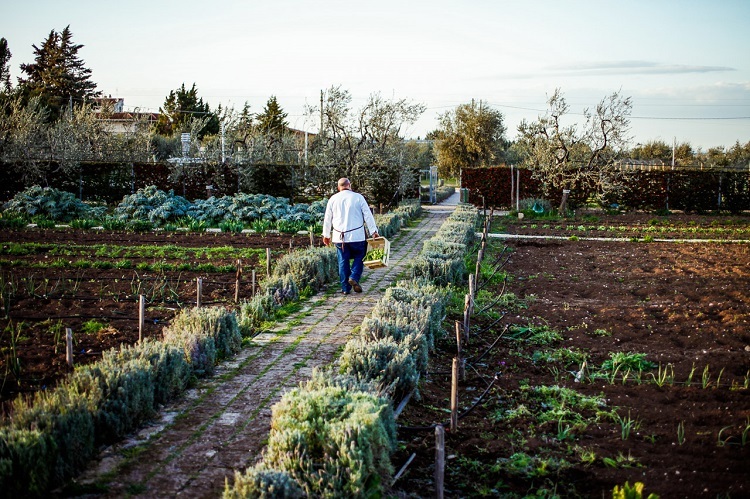 Pietro Zito’s legendary vegetable garden is actually just a few meters from his restaurant. In this meticulously cared for 15,000 square meters, the growing cycles of Mother Earth are faithfully followed. 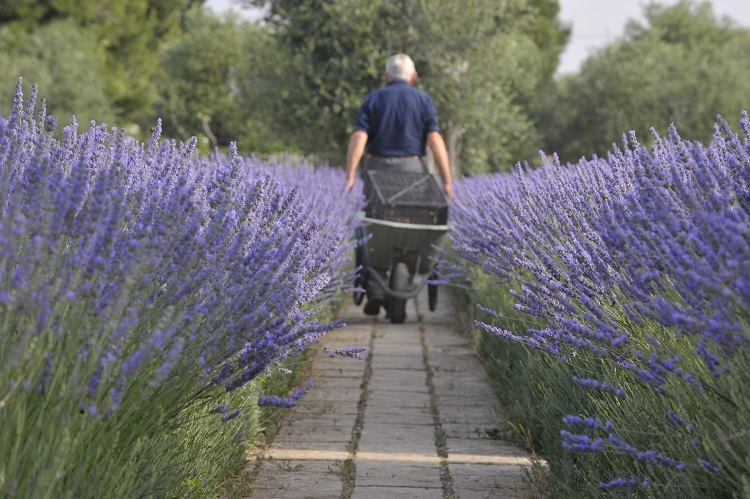 It is a paradise of vegetables with an amazing array of herbs on a backdrop of olive trees, naturally, and with space for free-range chickens, which provide fresh eggs. Engraved on a stone in a little wall is a phrase that sums up the philosophy of the restaurant: “Eating is a rural impulse”. 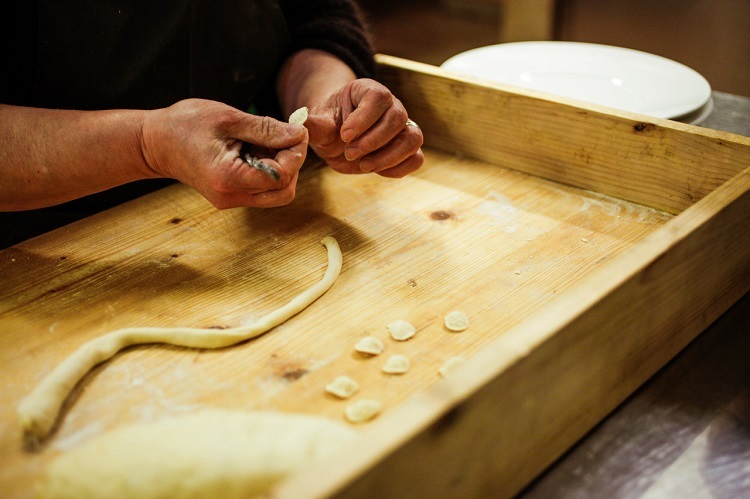 An authentic devotee of the Slow Food philosophy, with rigorous skills acquired from his peasant parents and grandparents, Zito, with the definite decision not to leave his home area, set in motion a flourishing local micro-economy revolving around his restaurant and his vegetable garden. Small local suppliers therefore found an immediate, reliable market outlet. 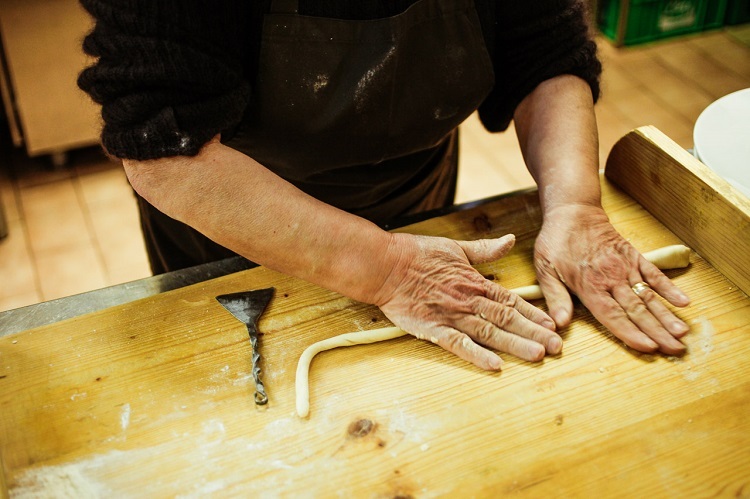 He personally selects all the products and anything that does not come from his own garden is always locally produced, like the cheeses, which include delicious caciocavallo and burrata made on the adjoining masserias. 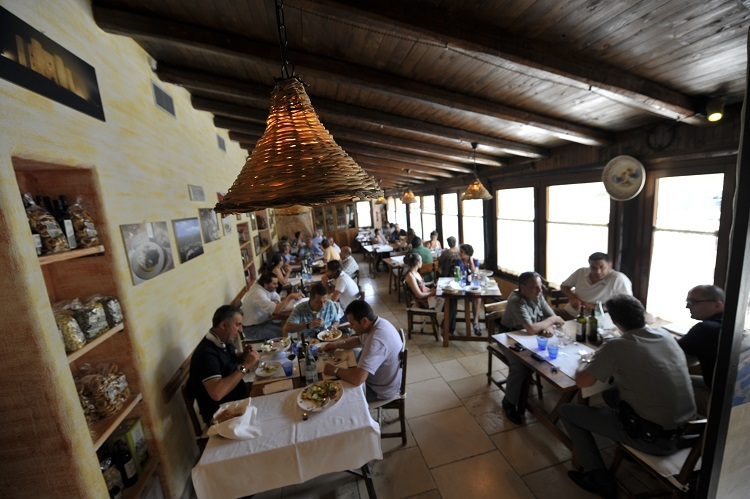 The restaurant is simple but it has a warm, welcoming atmosphere. The food is beyond words. Firstly, the bruschette, served hot as a starter: simple homemade bread toasted and splashed with just a drop of extravirgin olive oil, naturally local. Then the fennel straight from the garden, crisp and with an inebriating perfume. Many little tasting dishes to try the different flavors, and then the dishes chosen by the client. 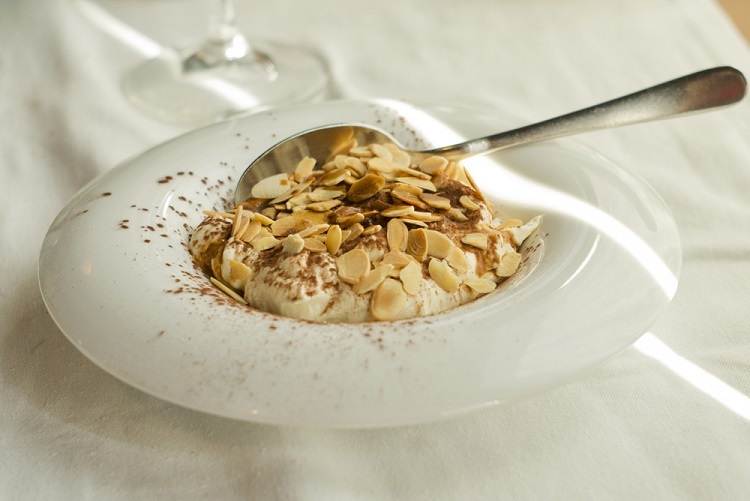 Cream of cardoncelli mushrooms, thick spaghetti with turnip tops and salted codfish, pumpkin parmigiana, delicious cheeses, through to a triumph of desserts. All accompanied by exquisite wines from Puglia. Simple, sublime flavors. 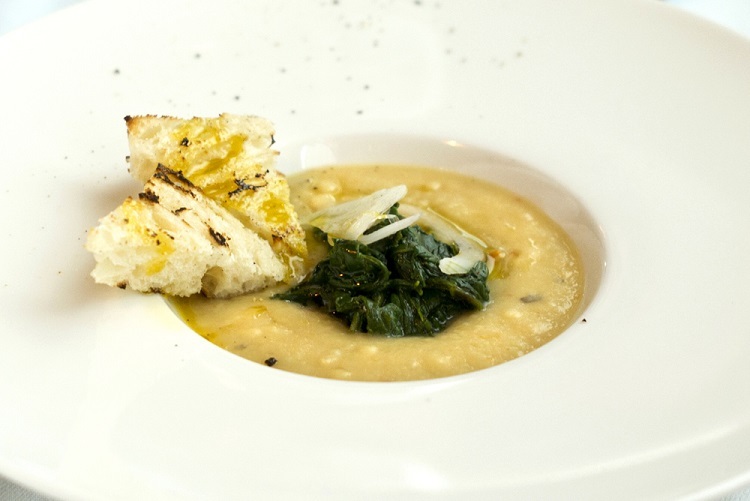 For an unforgettable gastronomic experience.